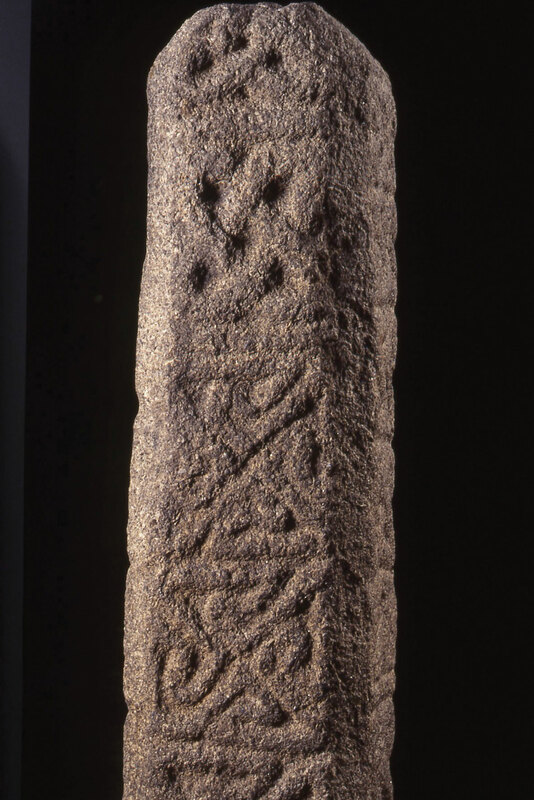 Late Saxon cross–shaft, Devon UK Exeter is one of Britain’s oldest cities and the collections in the Royal Albert Memorial Museum & Art Gallery (RAMM) reflect this. It has outstanding collections that bring the world to Exeter and Exeter to the world. This granite cross-shaft has had a particularly interesting history. It was made over 1,000 years ago and it is probably ‘Toisa’s Cross’ (St Osyth’s Cross), which stood outside Exeter’s West Gate. It was found re-used in the fabric of old Exe Bridge in 1778, then served as a bollard protecting one corner of a house from cart-wheels, it moved to St Nicholas Priory in 1911 and finally indoors to our museum in 1991. The granite shaft is decorated with simple interlaced patterns and would originally have been surmounted by a head in the form of a cross. Six such cross-shafts survive in Devon, the others being at Colyton, Copplestone, Dolton, Sidbury and Chulmleigh. These crosses represent some of the earliest traces of the Christianity in Devon.